Another year comes to a close, bringing another opportunity to look back on meaningful moments. My annual tradition is to post 12 months in photos, in which I pick a favorite photo for each month of the year. This year's set has a general theme of my favorite places during the year. Twelve photos can't begin to cover them all, but it's a start. 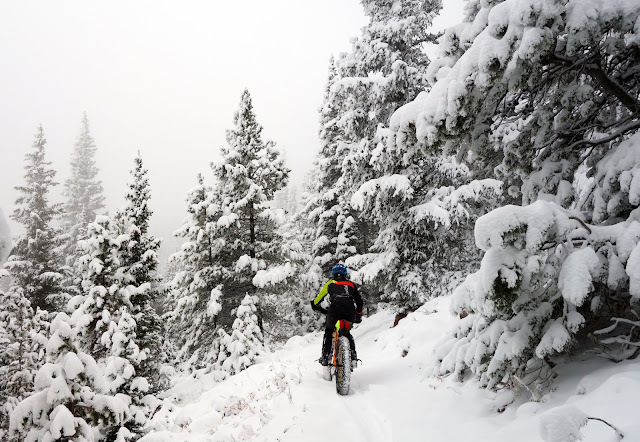 The above photo is from the Cache Mountain Divide, during the White Mountains 100 in late March. I only took a couple of photos of the aurora, as I was so caught up in just watching the display — sitting directly on the snow and gazing upward, not even realizing my hands were freezing. 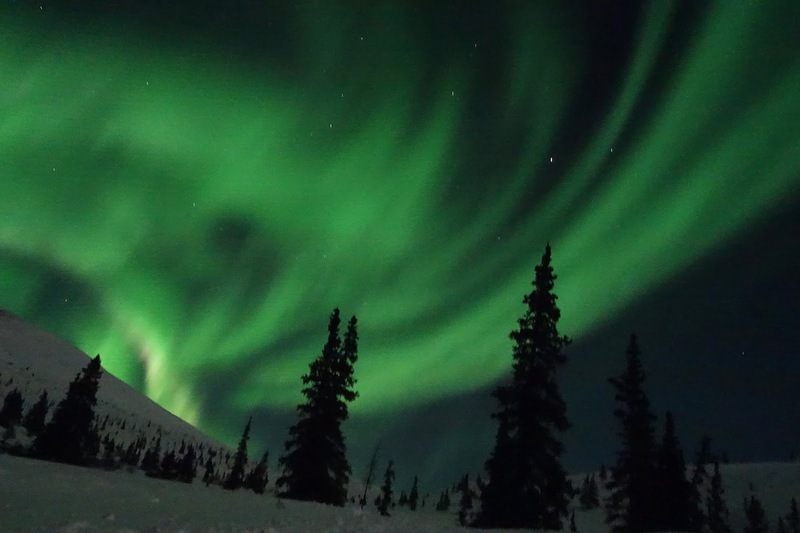 There's no photo or video that I've ever seen that really captures what it's like to witness the Northern Lights. So I don't claim this is a great photo; it just evokes happy memories of one of my favorite experiences this year. 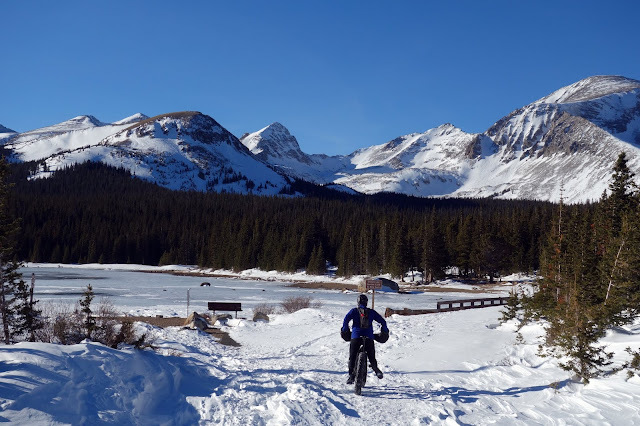 Early in the year, both Beat and I were training to drag sleds along the Iditarod Trail, so January weekends often took us to the wind-blasted slopes below the Continental Divide. During this hike, we'd just faced confirmed 70-mph gusts on top of Niwot Ridge, and beat a quick retreat for tree line, where we enjoyed lunch in the calm below the storm. 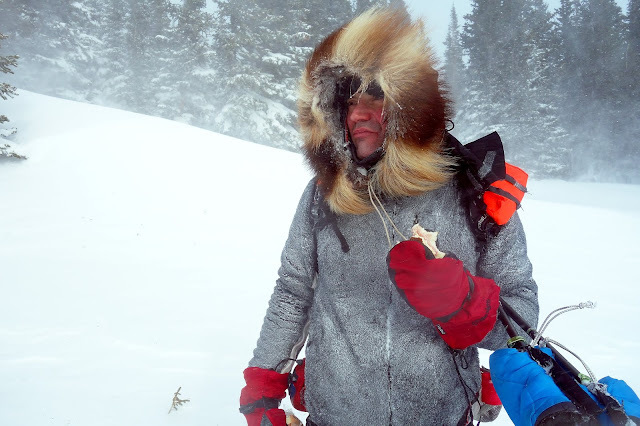 I love this photo for the nonchalant look on Beat's face and jacket coated in spindrift while he munches a sandwich in a (relatively mild) ground blizzard. Wind is a common presence in my most memorable outings, but it's nearly impossible to depict in a photo. 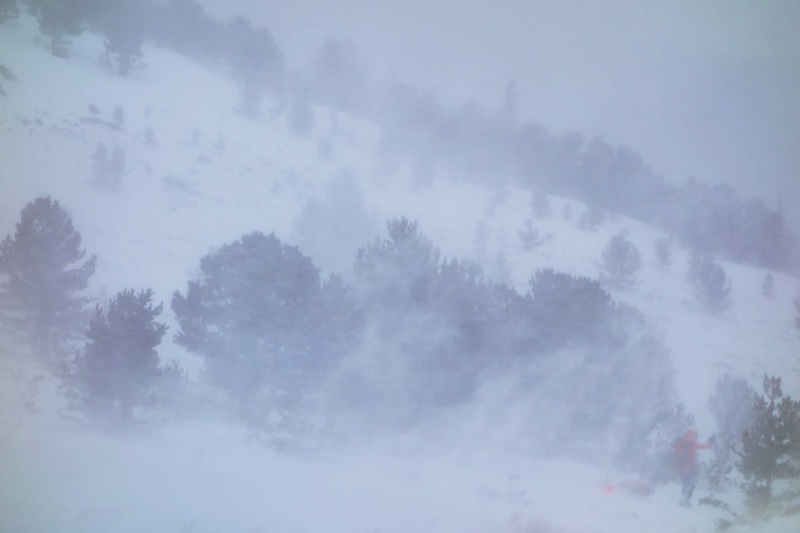 Beat's tiny figure, obscured by a chaotic ground blizzard, almost (but not quite) captures what it's like to experience these winds. I have more compelling, more scenic photos from my 350-mile walk to McGrath this year, but this one is my favorite — a meager black spruce forest amid the expanse of the Farewell Burn in the morning. In front of me is a soft, but at least broken trail. Pressed into the trail are the footprints and sled track of Carole Holly, another Iditarod walker who was usually about a half day in front of me. Her tracks became a comforting companion during a two-day span when I felt utterly unravelled, exhausted and alone. I had a thermos of hot Tang that became lukewarm Tang and then slushy Tang, which I continued to nurse throughout the day, taking tiny and thoughtful sips as though it really was the Elixir of Power I so badly needed it to be. While sipping that sour liquid of life, I'd sit on my sled bag and press my own handprint next to Carole's tracks, reminding myself that this had been done, and thus could be done by me, too. Carole and I ended up finishing the race together after her feet fell apart, and I caught an incredible and mostly inexplicable surge of energy along the final 50 miles. 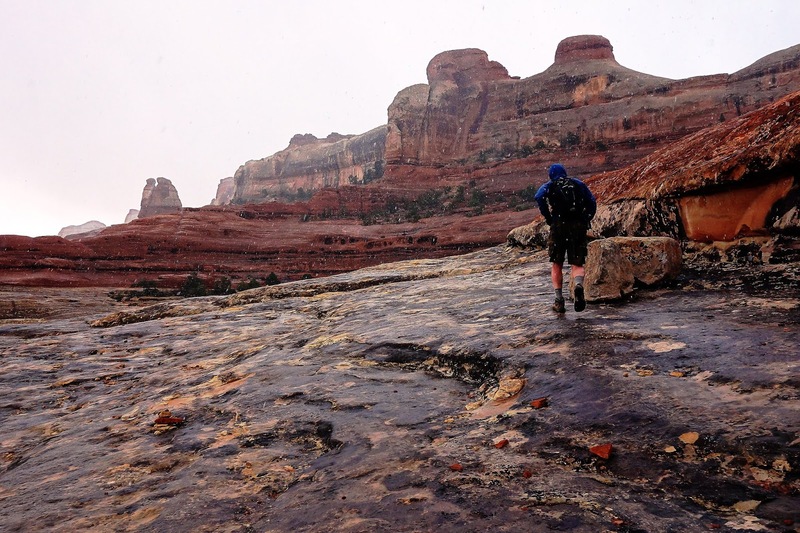 Every spring, my Dad spends a long weekend camping in his favorite place in the world, Canyonlands National Park. This year I was able to join him. It was a fun foray into nearly-forgotten childhood traditions (Dinty Moore stew, Saltines and Twizzlers for dinner and dessert) and contemplations on mortality (Dad showed me the spots where he would like his ashes spread someday.) In this photo, we were caught in a brief snowstorm that rendered the slickrock in rich colors. Trail Ridge Road in Rocky Mountain National Park is perhaps the best road ride I've ever encountered, but there's only a brief window in the spring where it's open to ride (unless you are a brave and/or suicidal cyclist amid summer tourism traffic.) I managed three rides here this spring, and they were all bliss. 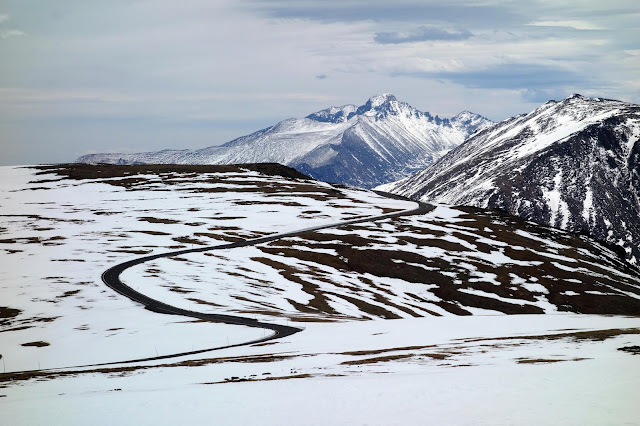 There's something magical about coasting along a winding ribbon of pavement at 12,000 feet, with beads of sweat still clinging to your skin from a 5,000-foot climb as you clench your teeth into an exhilarating sub-freezing windchill. Beat ran the Bryce 100, and I went for a 25-mile morning run that wove together most of the front-country trails in Bryce Canyon National Park. These desert hoodoo landscape shots have long since faded into cliche, but it's just such an incredible place to experience that I had to include it. 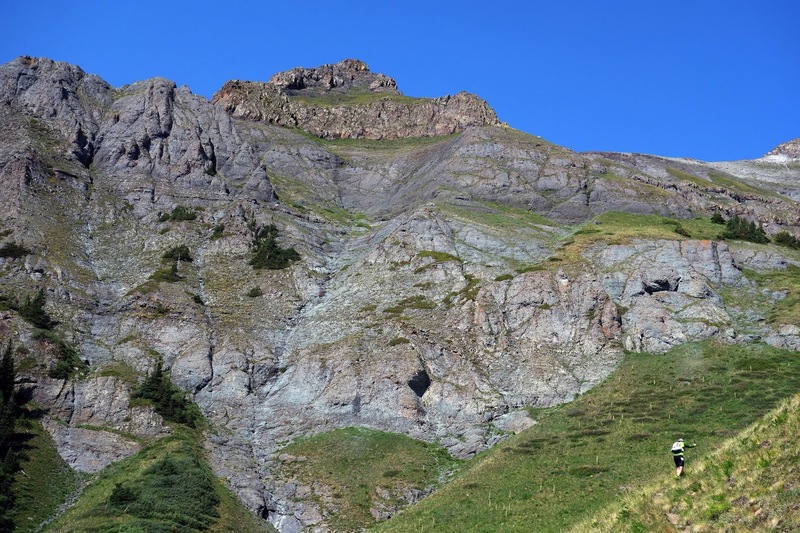 Late in the month, Beat raced the Ouray 100 in the San Juan Mountains. I again tagged along to bring him sandwiches at aid stations and hike pieces of the course. 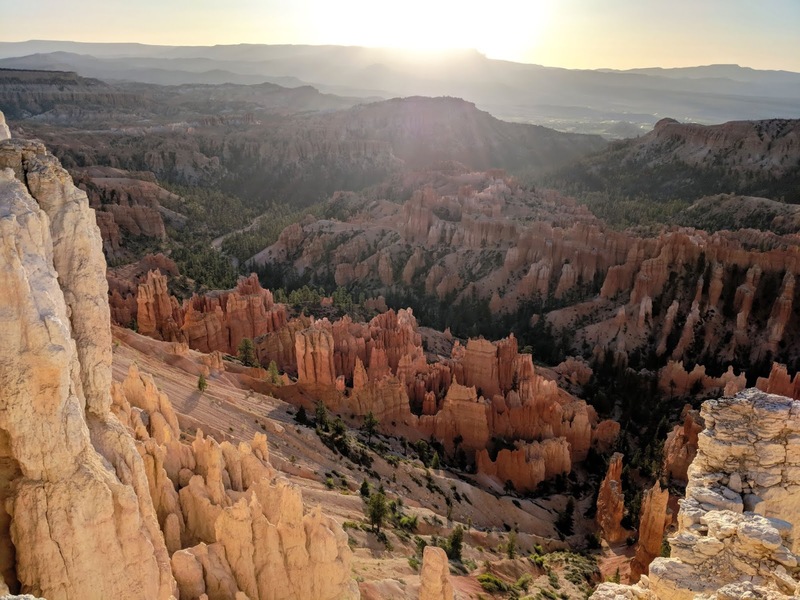 This photo from the second morning shows a typical climb for a race that has 42,000 feet of ascent in just 100 miles — straight up a 45-percent grade. Beat was hurting, but I thought it was an incredible place. We again returned to Chamonix at the end of August. And again, Beat was racing something ridiculous (PTL) while I hiked around. This day was one of my hardest efforts of the summer, a big tour of both sides of the valley with more than 11,000 feet of climbing. I still took the time to spend nearly an hour sitting in the grass at this spot, a popular yet quiet point on a ridge with jaw-dropping panoramic views. The summer theme continues with Beat racing and me hiking in the midst. 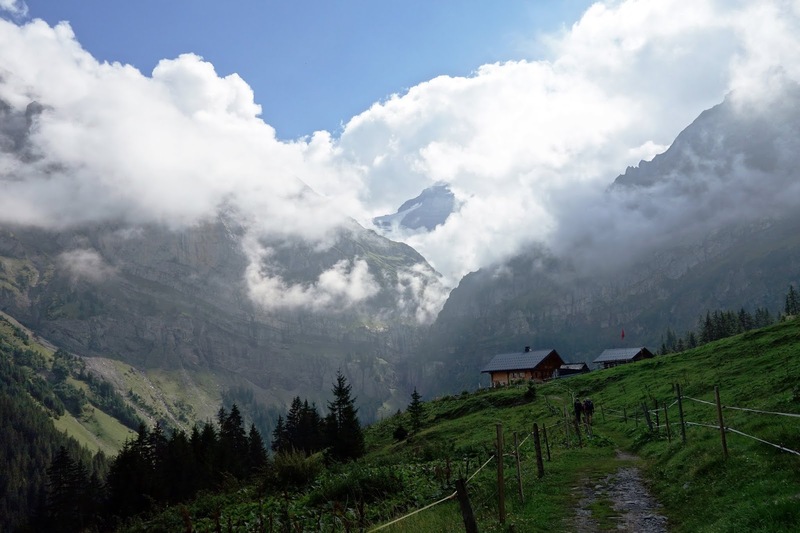 I think this photo captures some of the best of Switzerland — dynamic skies, imposing mountains, lush grass and forest with a bucolic little farmhouse and well-built trail. 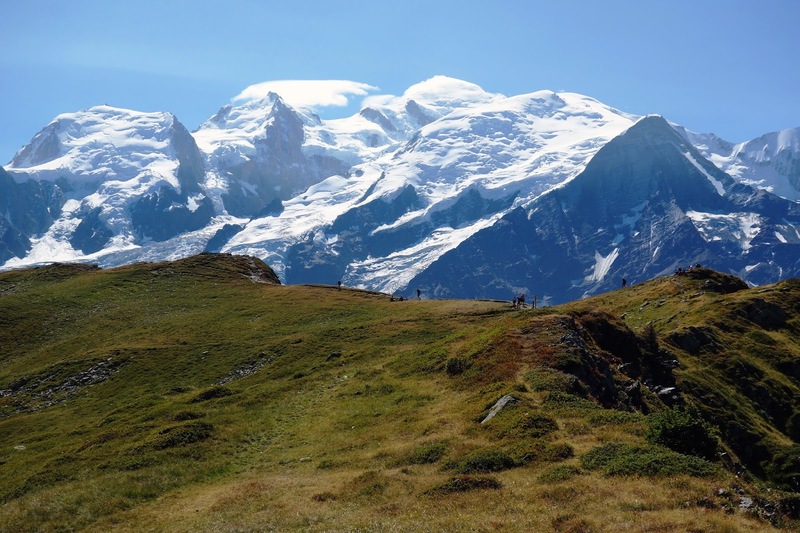 The Swiss Peaks 360 was a difficult race for Beat and a difficult week for me. It's a little sad to realize how, even months later, I haven't extracted too many happy memories from the mire despite the incredible scenery. Proving once again that it's not about where you go or what you do, but what you experience within yourself that matters. I still love Switzerland, and hope to return in a better state of mind. October brought big dumps of snow early and often, setting up mountain trails for a nice season even if the rest of winter was fairly dry (which has proven true up to this point.) 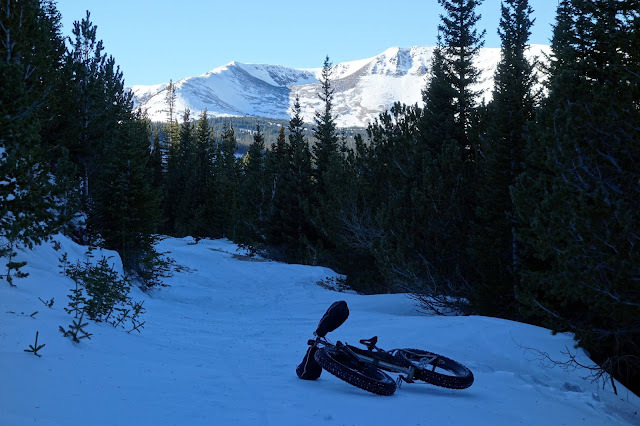 This was one of my first times back on a fat bike after a year-long hiatus. It's been a happy reunion. I always love snowy monochrome photos that are infused with patches of bright color. You really can't beat the Utah desert in November light. 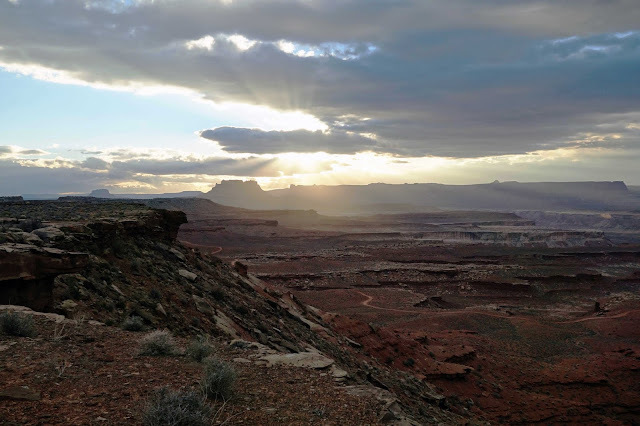 Although nights were below freezing and days were windy and cool, I think this is the best time of year to tour around the White Rim in Canyonlands National Park. I joined six other women for an incredibly fun four days with unlimited photo ops. This photo is an overlook from a higher plateau called Murphy's, while I was out for a sunset walk before dinner. Beat and I are currently in Fairbanks, Alaska, where we planned a couple of cabin trips to immerse ourselves in the White Mountains at the best time of year, winter solstice. 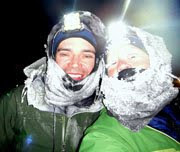 This photo is from the first trip, a two-night stay on a frosty, wind-blasted ridge at the headwaters of Colorado Creek. While the sun is only out for about three hours here, the nearly full moon circles the sky for the remainder of the long night, and we begin to feel well-acquainted with it. Here the moon is about to dip below the northern horizon for a few hours as the sun rises behind us. From Greek mythology, "halcyon days" refers to a period of calm weather and prosperity near the winter solstice. I appreciate the phrase for its modern connotation of happy days in the past, but its original meaning holds true for me as well. Winter solstice is a wonderful time of year, and not just because of holidays ... which I admittedly barely celebrate these days, unless an Alaska friend invites me to a Christmas dinner. No, I love solstice because it's the first day of my favorite season, a beautifully lit time of year, and I also welcome the gradual return of afternoon sunshine. It also helps when these short days are blessed with beautiful weather. Yes, it's been a good week — the days have been relatively nice and calm, the nights mostly filled with the warmth of returning to my own bed, decent sleep, and considerably fewer odd dreams. I've felt energetic and fit. Most importantly, I'm no longer captive to a deadly chest cold. I almost forget how quickly I snapped out of the death cold until I reconstruct the timeline. Last Tuesday, when Dennis invited me to join him on a Friday afternoon ride at Brainard Lake, I was still spending nights writhing and coughing with with my head propped up on three pillows to prevent drowning in my own crud. Optimism was low. Three days later my lungs were almost clear and I was raring to go. 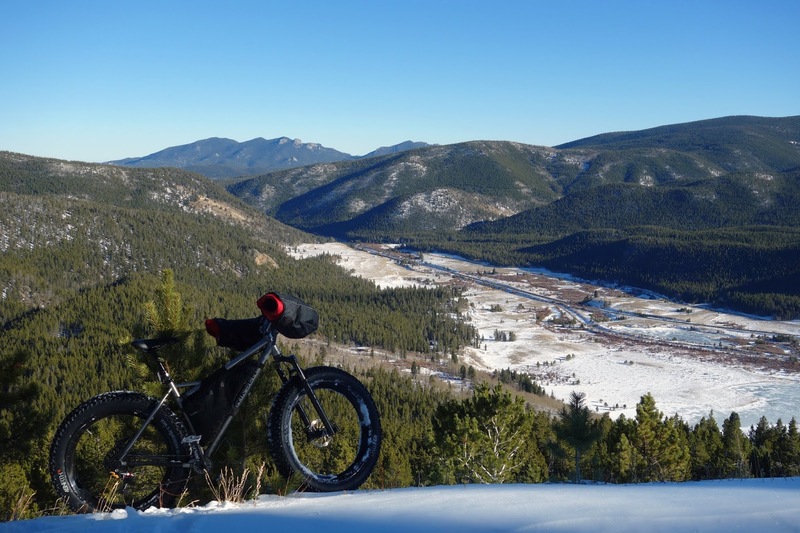 I couldn't wait to power my monster truck fat bike up some steep, sugary trails. It wasn't until we were climbing for the second round that I realized my camera was also missing — it had been stuffed in one of my pogies, and obviously fell into one of the half-dozen holes. I wasn't even going to mention this to Dennis, as it seemed impossible I'd ever find it. 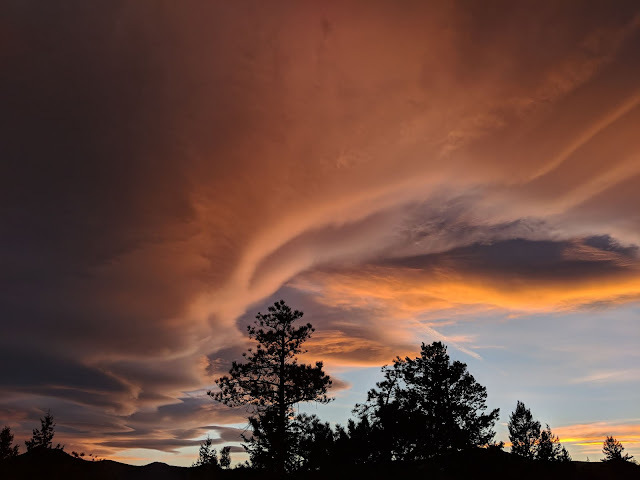 Instead I took some time to mourn the loss of yet another camera as we climbed toward gorgeous evening skies (I perked up when I realized I could take sunset photos with my phone. Priorities.) We chatted about our mutual fear of ice and decided to ride along the lake anyway, until Dennis broke through a weak spot near the shoreline and tumbled over a slushy hole. Seeing that he was still dry and unhurt, I felt a little more comfortable with the tally of individual embarrassment, and admitted I lost my camera in a crash more than an hour earlier. He offered to help me find it, and we shared more embarrassing bike stories as we pedaled toward the trail. As dusk deepened, we donned mittens and dug through my first hole — the one that softened the blow of the full somersault. Nothing. The second hole was impressive. It looked as though someone had excavated a dead horse from the snow. This large crater seemed especially hopeless, but we dug anyway. Incredibly, after only a minute or two, my ice-crusted mitten managed to hook the lanyard, and out came a camera. Amazing! I was so happy that I did a little dance, notching up the embarrassment tally one more point. But we had an incredibly fun run down Waldrop, and I didn't crash again. 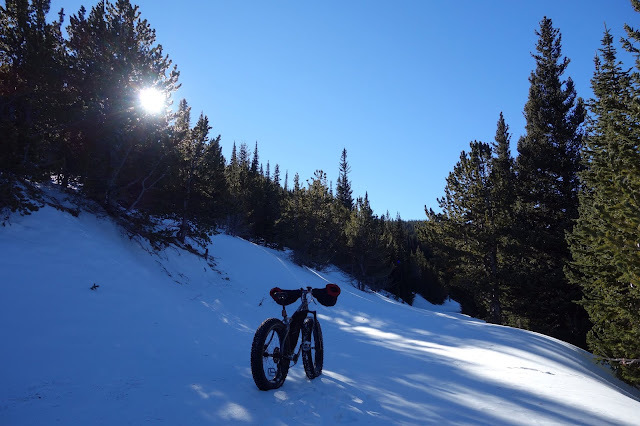 Despite the multitude of bruises, I was stoked on fat biking and couldn't wait to get back out on Sunday. I decided to reduce my chance of further injury by taking on the wide, gentle grades of Rollins Pass Road. I hoped to find a trail used by snowmobiles, but instead had to hike around two AWD vehicles that were badly stuck, just a half mile from the junction. Beyond that, older truck ruts had filled in with sugary spindrift that deepened as the road climbed. By mile three of the snowy road, there was barely any evidence that anyone had been up here in weeks. Beat and I have tough sled-dragging trips planned for our holiday in Fairbanks, and since I have not trained all that well for such an arduous effort ... (okay, I've done no training) ... I decided it would be good refresher practice if I pushed my bike for a while. 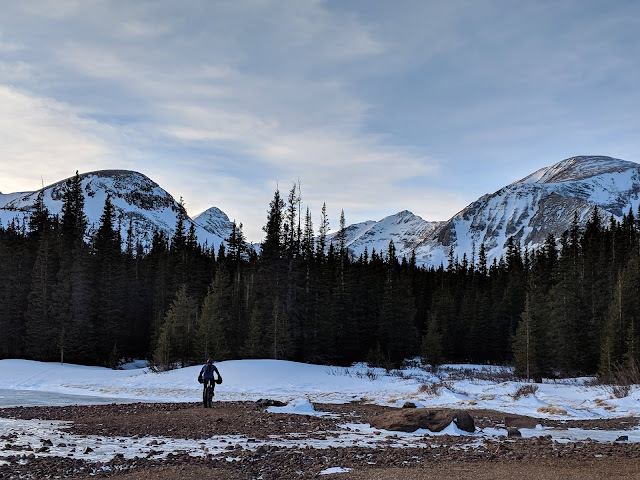 There was just enough semi-breakable crust and wind-scoured bare patches to keep me pedaling fifty yards here, ten feet there — just enough to persist with what was often a nearly impossible tromp through thigh-deep drifts. I actually made it four more miles up the road. Those four miles took me nearly two hours, which sparked a little bit of pride. A truly slogarific effort — Yeah, I haven't lost it, baby. From there, my week filled up with mostly mundane chores such as packing for the Alaska trip, finishing a few deadline-sensitive projects, the usual number of medical center visits for allergy shots and blood draws. When I could, I escaped outside to stomp on a couple of PRs. 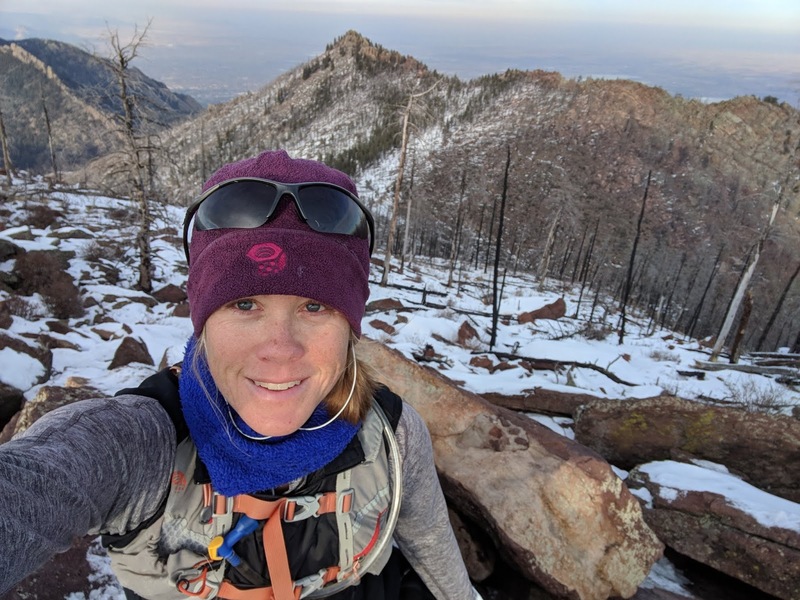 I noticed during my routine six-miler on Tuesday that I was running rather effortlessly and well, so on Wednesday I went out to see if I could best my time on the tough climb up Mount Sanitas. Although my breathing is strong right now, there are other parts of me that aren't quite as well conditioned, so I experienced the now-rare feeling of my leg muscles giving out before my lungs. I still nudged the 1,300-foot ascent under 30 minutes, but only barely. I still have a lot of fun going for personal bests when I believe I can. As I ride the latest inexplicable crest of my fitness rollercoaster, I've made a New Years resolution to deny its existence as well as I can. Although my latest search for answers has led to some interesting theories on overtraining syndrome, persistent inflammation, and self-preservation mechanisms, I'm currently operating under the hopeful placebo theory and trying to convince myself that a slump simply won't come. That didn't work so well in October, but if all else fails, I'll resist the urge to complain even if it means radio silence. This is my promise to myself. Stay healthy, or no blogging for you. Today I had a little more time and what I thought would be warm sunny weather, so I set out for a six-hour gravel grinder. I think I was clinging to memories of last year, when it was nearly 60 degrees the day before the winter solstice. As such, I wasn't mentally prepared for the frigid wind sweeping down from the Divide. Even as I climbed the steep grades of Gap Road, my shoulders ached with cold and my teeth began to chatter. "Maybe it isn't that warm today," I thought. My suspicions were confirmed when I coasted through Nederland, where the bank clock thermometer registered 23 degrees. "Well, it's still like 40 degrees warmer that it will be in Fairbanks next week," I reasoned ... but the wind chill was not allowing for such self-delusion. I decided I didn't need to practice being cold and finally put on more layers. They were adequate, but I was still a little rattled. Expectation means a lot when it comes to comfort. Despite not having a lot of bike fitness in my legs right now, I felt pretty good ... even when ice-cream-headache-inducing wind gusts forced me to pedal hard downhill on icy, snow-swept gravel. 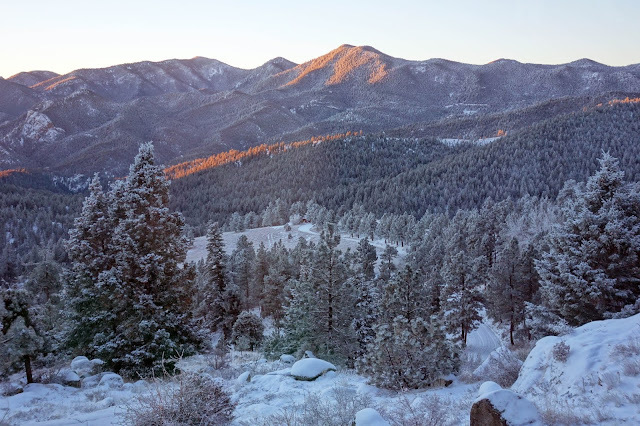 I only hope this sense of wellbeing can persist through the rest of the year, as Beat and I have some tough, high-mileage days planned for the White Mountains, and the weather forecast is all but promising nearly constant subzero temperatures. I'm so excited! By Monday I had surpassed my tolerance threshold for sleepless nights and coughing up green globs that were worryingly beginning to look and feel like lung tissue. It was the two-week mark, so I went in to see my doctor. She confirmed the lung infection was viral, so there would be no magic-bullet antibiotics. Besides lung congestion, my main complaints were crushing fatigue and daytime malaise. The doctor guessed this was a result of not sleeping, and prescribed some serious cough syrup to stifle the night hacking. Either the medicine or the two-week threshold seemed to do the trick, because I finally emerged from the crud on Wednesday. It felt like lifting my head after 17 days of floating face-down in a murky pond — a mucous-filled murky pond. I did venture outside twice amid this mucous-filled muck. The weather was really nice over the weekend, so I braved a four-mile hike Saturday and six-mile jog Sunday. Predictably I felt as though I was breathing through an iron lung filled with motor oil, and just wanted to lay down on rocks and nap in the 40-degree sunshine. These efforts knocked me out so fully that I assumed there would be no outdoor exercise for another week. But after the miracle cough syrup, my energy levels bounced back dramatically. Wednesday's trip to the gym felt almost normal. So today, with late morning temperatures in the mid-20s and buffeted by a mild breeze, I wrapped my chest and neck in extra insulating layers, and set out on a run. The plan was a standard six-mile jog. 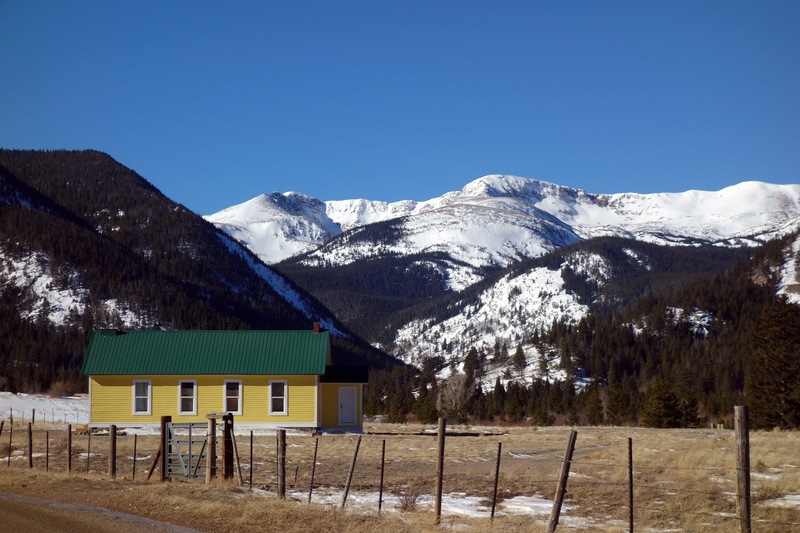 However, while bounding down the hill toward Walker Ranch, I felt so great that I decided to go for it — the whole 10-mile trail loop. During the run I had to stop twice to cough up some gunk, but beyond that I felt strong: Steady breathing, sharp focus to negotiate all of the patchy ice, springy legs, and the happiest of faces. I wasn't pushing myself particularly hard, which is an assessment I base on how I feel, rather than speed or time. So I was surprised when I came home to see I'd logged my fastest full Walker loop yet, and managed to maintain a high heart rate without feeling like I was about to keel over. You could say I'm well-rested after being ill more than two weeks. You could say I'm just really excited to be outside again. Both of these statements would be true. Still, I'm perplexed by seemingly random days when I emerge from beneath whatever unknown forces are holding me back, and bust out a good effort that would objectively qualify as a good effort. Then there are other seemingly random days when I sputter through a desperate haze and barely break out of zone 2. And I haven't found any reason for one or the other. The ongoing uncertainty has spurred enough training ennui that I can't even get excited about the good runs or rides anymore. It doesn't mean anything. And the cycle continues. I realized this lost faith is the main barrier between me and fleeting dreams of adventure. Languishing in a sick bed often leaves only enough mental space for dreaming, and I continued to form hazy ideas about 2019. For a while I became mildly obsessed with the Silk Road Mountain Race — a bikepacking event in the mountains of Kyrgyzstan. I've long wanted to ride a bicycle through central Asia, and an organized event with an established route is just the perfect amount of (minimal) support I'd like for such an endeavor. But it is a race, with a difficult cut-off. During last year's inaugural event, nearly three-quarters of the field dropped out. The DNF list included women who I know to be stronger riders than me — Tracy Petervary and Lee Craigie. "I'm not likely to get strong enough to finish that race," I thought. And then I realized that registration closes at the end of December, which is not enough time to dig up courage from my severely eroded confidence bank. So I set Silk Road aside as another one of The Cold's feverish dreams. 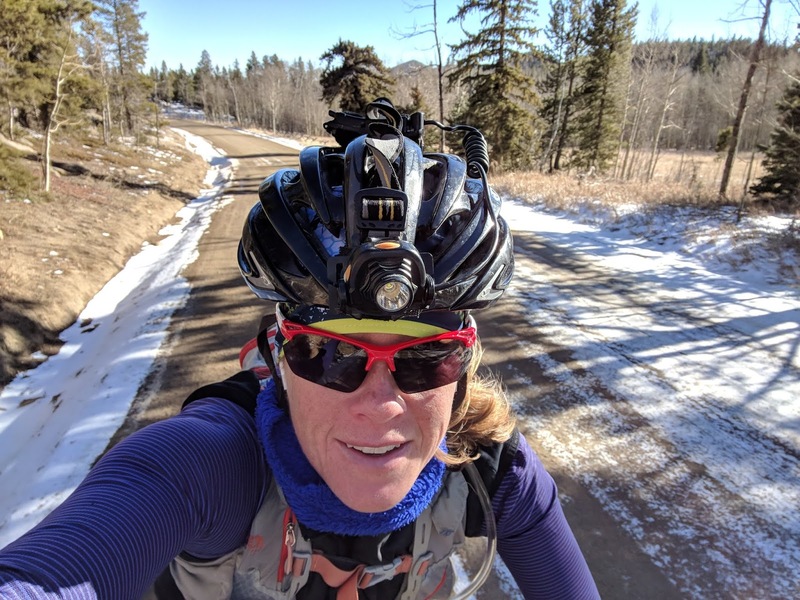 I gave up the 2019 Tour Divide in a similar manner, back in October. That was the month I intended to make the commitment and dedicate time to focused training. But October brought too many bad rides and runs — sputtering efforts that left me feeling distressed and depressed. "I don't want to spend all my time with training that makes me feel this way," I thought. "And I'm not going to magically become more fit by gasping my way through painfully slow rides." It's a contemptible first-world problem to have means and opportunity for an adventure, and let it slip away out of cowardice. Earlier this week, I e-mailed a friend for advice and admitted my adventure listlessness. "Maybe you should just commit to something for this next year and then put your heart and soul into training for it. It’s so easy to be wishy washy," she advised. My initial reaction to this statement surprised me — I was angry. "I don't want to put my heart and soul into this stuff," I thought. "I'm tired of having my heart and soul broken." This reaction sparked an epiphany — I'm not broken. I'm scared. 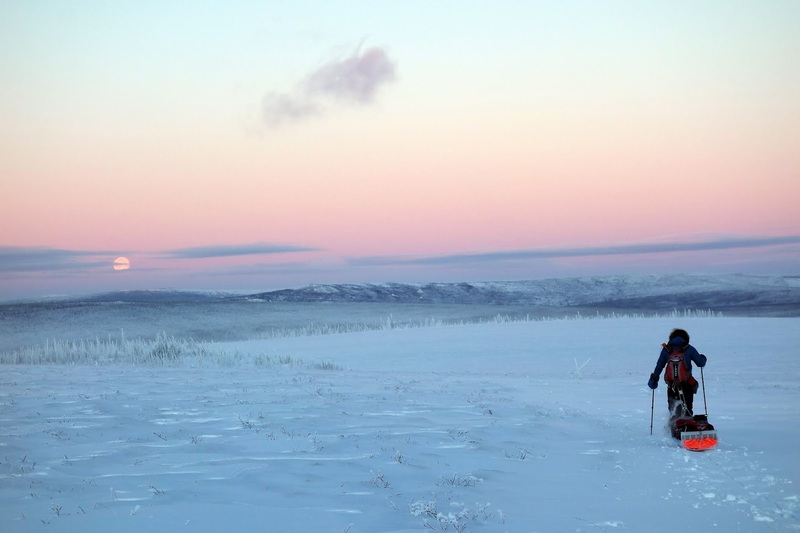 I know I'm not broken because I can still push through the depths of this malaise and find something incredible on the other side, which I proved to myself during my Iditarod race to McGrath this past March. But I struggled during the Iditarod. Oh, did I struggle. Out on those snowbound swamps, knee-deep in powder and anchored to a veritable anvil of a sled, I discovered new depths of emotional and physical lows. Truly terrible moments. Now I'm frightened of this possibility. More so, I believe, than I've ever been. But I also emerged from these depths, on an exhilarating arc of strength and joy, the heights of which I thought were lost to my starry-eyed youth. This scope of experience is why I can't just walk away from endurance racing. It would be so easy, otherwise. I'm happy to do what I can to stay in good enough shape to enjoy fun desert bikepacking trips with my friends, hike in the Alps, visit the Grand Canyon with my family. "Adventure Lite" as my friend Keith would say. Type 1 fun. I could be happy, sure. And I could dedicate extra time and energy to any number of activities deemed more productive. Learn Spanish. Draw. Volunteer. Find regular full-time work as a way of filling up time (because let's be honest, my skill set is not likely to land a high-paying job even compared to my current side hustles.) Time is going to fall away regardless, and I'm still a speck of dust on a speck of dust, hurtling through an infinite universe. While I'm here, I might as well have some experiences. It's good to have pleasant experiences. Better to have meaningful experiences. This is what endurance racing has been for me, ever since I stumbled into it 13 years ago — objectively pointless, yet intensely meaningful. Endurance racing once gifted me with confidence and courage to counter my natural tendencies toward neuroses and fear. Now I find myself crouching as fear closes in, blaming a nebulous health condition, a shadow, for my inability to stand. Thanks to The Cold and waking through the night with horrible coughing fits, I retained dozens of little dreams from the past two weeks. In one of these dreams, I invited all of my friends (California friends, who apparently remain my subconscious image of friends three years after I moved away) to a party on my yacht, which was docked at Aurora Harbor in Juneau (yes, the subconscious is a funny thing.) This party was an elaborate and weirdly materialistic affair, and even more strangely, I was proud of the gaudy display. But as soon as it started, all I wanted to do was walk out on the deck and stand in a raging wind to watch the sliver moon set over Mount Jumbo. In the dream I stood alone for hours, gazing up at stars. I was content. This was my favorite of the week's many bronchitis dreams. 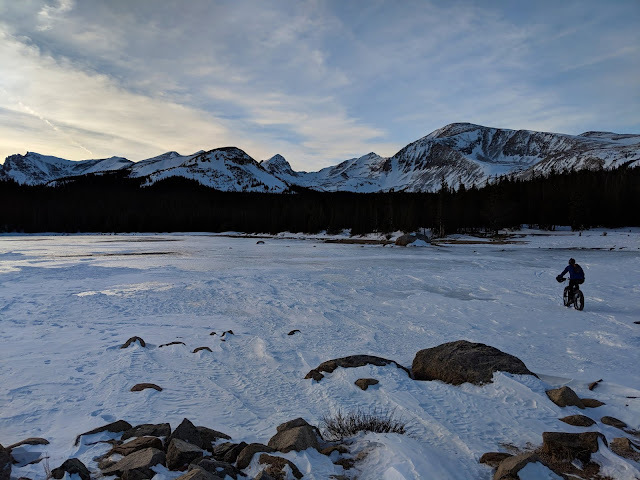 I suppose I'm rambling about it here because it felt meaningful, and I wanted to record the memory of contentedness and joy amid this objectively lonely and uncomfortable setting. Not that I've formulated any answers from the epiphanies and dreams. It's just good for me to admit my fears to myself, and on record here, where I can hold myself accountable. Being sick for 17 days was really trying in a way I think most people understand. Fewer understand my back-and-forth battle with my silly hobbies, but it's nice to have an outlet for this as well. I don't actually have anything to write about in this post. Since I returned from Utah a week ago, I've ventured outdoors only once, to brave the cold wind for a four-mile jog on Saturday afternoon. That squeak of a run knocked me so flat on the floor that I haven't tried to be brave again since. I'm ready to rank my current condition with the worst respiratory illnesses of my adult life, behind only Pneumonia 2015, Bronchitis 2005, and Swine Flu 2010. This one is just a cold. But it's fresh in memory, so it's the worst. Cold 2018 was a gift from my niece. She's 3 and can't help it, and my immune system is not what it used to be; apparently it now only attacks vital organs and can't ward off anything else. A sore throat greeted me on Tuesday morning, eight days ago. Every day since has been a downward spiral into cement-filled sinuses, throat on fire, weak days and sleepless nights, inability to speak clearly or swallow, and persistent hacking and wheezing. Today is the first day I haven't vomited from coughing so hard, so that's good. I'm worried the Cold has migrated to my chest. My suspicions worsened during a routine visit to my allergist today, when my peak flow test failed to meet the minimum requirement after a number of earnest tries. My air flow is down 25 percent from an already pathetic normal. It would not even pass muster if I was a 5-foot-tall, 85-year-old woman. To top that off, despite careful handling of things, liberal use of antiseptic spray, and hacking myself to fitful sleeps alone in the downstairs bedroom, Beat finally caught the Cold. And he is annoyed. He tells me I can't travel to see my family in the winter anymore, since this is the third or fourth time I've carried a virus home from Utah. I think he's joking ... mostly. Anyway, I don't have any adventures to write about. But after a week of silence I start to get antsy, so I'll post about outdoor things that have been on my mind. • What am I going to do this coming March? I want to plan a winter adventure, but for whatever reason I've been dragging my feet, unable to get excited about the few ideas I've had. Writing retreat in Nome? No, I can't find a place to stay. Winter in Iceland? No, I'm not entirely interested in the logistics or expense of solo international travel at this time. Bike tour in the Utah desert? No, if I'm going to drag my bike through soft sand, I'd rather just drag my bike through soft snow in Alaska. 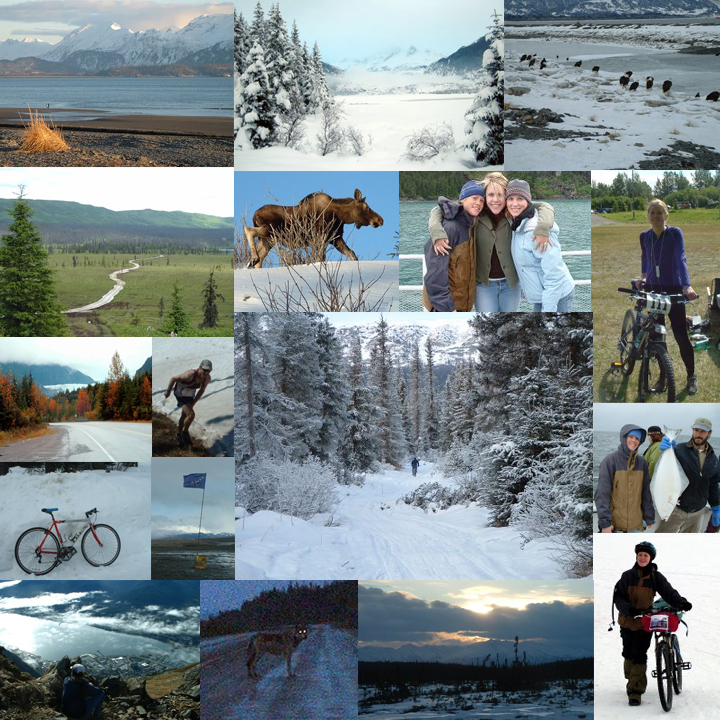 So bike tour in Alaska? That seems appealing right now ... aim to retrace my failed 2015 trip along the coast, except start in Nome and ride to Unalakleet with a possible return trip if time and weather permits. 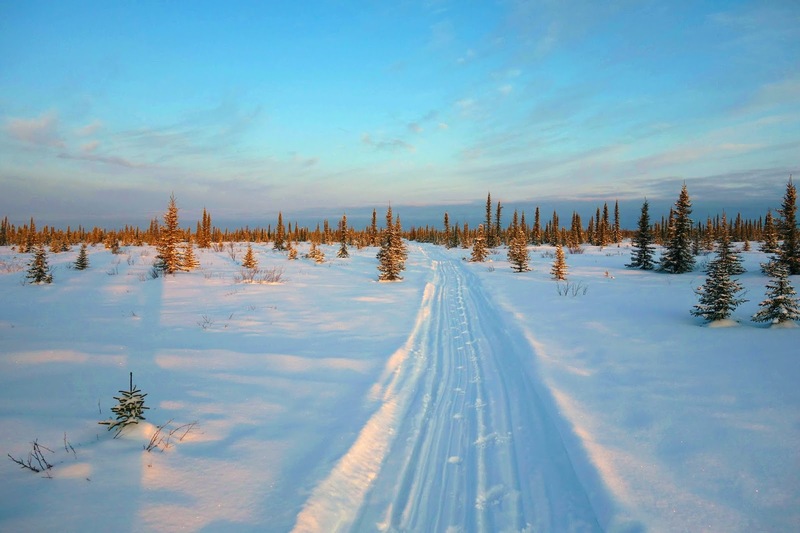 The Norton Sound is the most awful, beautiful, terrifying, utterly compelling segment of the Iditarod Trail. A large part of me yearns to greet my best frenemy, The North Wind. And if that goes well, maybe I can consider untrod ground, like the Arctic, for a future endeavor. Five years ago, I actually managed to beat the Hardrock odds (and I'm guessing a fall is also how I'll die.) I applied to Hardrock just once with a single qualifying race. I got in. That I already planned to participate in the Race Across South Africa that summer prompted much angst — I only applied in the first place to garner more tickets for future lotteries. I remember being annoyed at how many congratulations I received on my Facebook page — more than I ever saw for any of my Iditarod completions, including setting a record for the ride to Nome. Just for squeaking through a race lottery! Ultimately I gave up my spot, to which many of those same Facebook friends expressed bafflement ... (I suppose I should have skipped a once-in-a-lifetime adventure in South Africa to plod 100 miles of Colorado trails that are open to the public at all times.) Anyway, I no longer feel compelled to race Hardrock. I mean, I had my chance. The fact that I suspect I'll eventually die in a fall may also influence this trend toward mountain race apathy. • Did I mention before that I made it through the White Mountains 100 lottery? I did! Wheee. I've wrestled back and forth on whether to race on bike or foot. Since I don't think I'll improve my bike speed all that much during these sickly winter months, and since I am still holding out for the perfect hundred-mile run, I'm leaning toward foot. If I start the race within days of completing a potential 500-mile bike tour along the wind-blasted Alaska coast, I'm sure to be in excellent running condition. • I miss fat biking. It was probably an error to join the "Front Range Fattys" group. Now every day I see photos of people riding their fat bikes in Colorado, enjoying the sunshine and beautifully packed singletrack, and read the latest conditions reports for local trails. 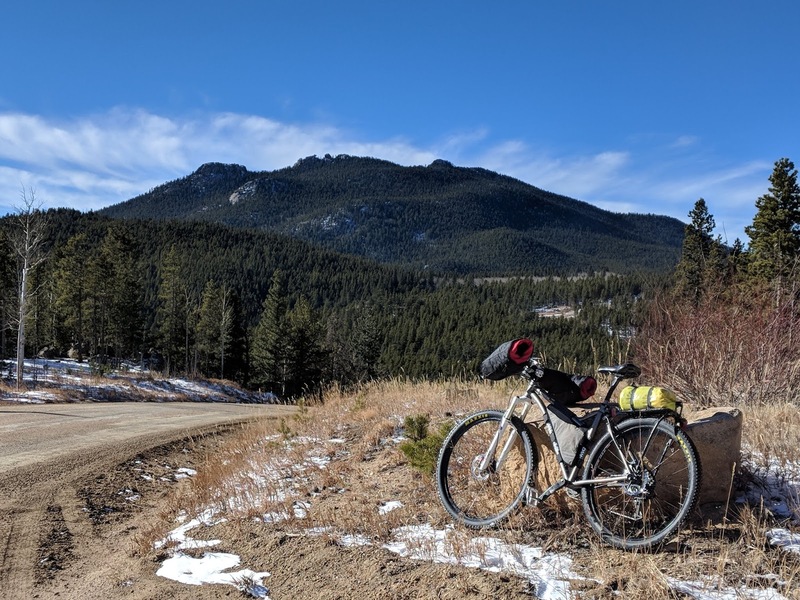 I'm so jonesing for a ride that it will be a small miracle if I can keep my phlegmy lungs away from Rollins Pass this weekend. • Ok, that's enough rambling. What are your best home remedies for beating an epic Cold? I don't think the pharmacy will sell me any more Sudafed.